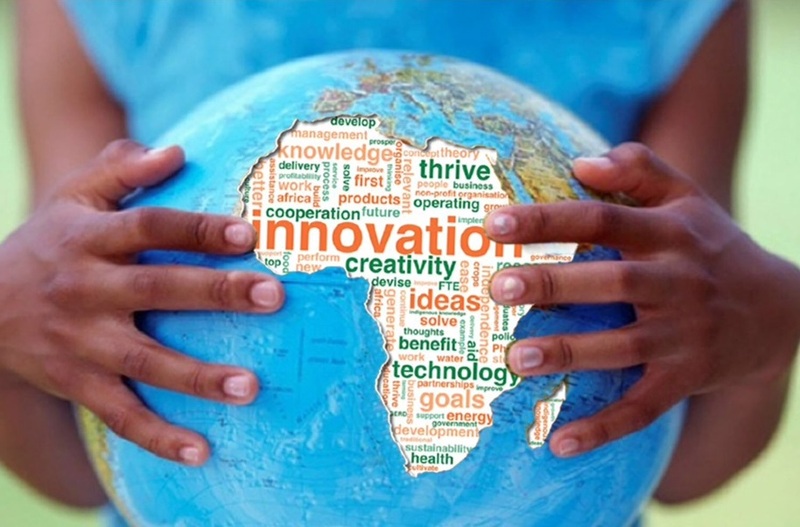 SHOWCASING DEVELOPMENT IN AFRICA THROUGH SUBSTANTIAL REALITIES . Is Tanzania's Magufuli Tying His Legacy to Infrastructure? While launching the Dar es Salaam-Morogoro railway line project, on the day Tanzanians remembered the passing of its former prime minister, Edward Moringe Sokoine who perished in a road accident in 1984, President John Magufuli left no doubt, once again as to where his vision of the future of the country lies writes Erick Mwakibete for The Citizen. 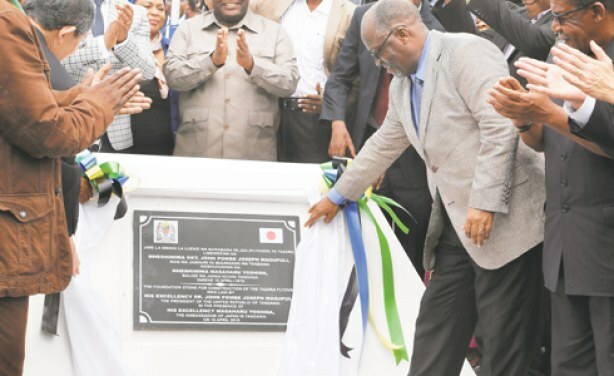 While launching the Dar es Salaam-Morogoro SGR line project, on the day Tanzanians remembered the passing of its former prime ministers, Edward Moringe Sokoine who perished in a road accident in 1984, President John Magufuli left no doubt, once again as to where his vision of the future of the country lies. Sokoine lived and worked in the times of Mwalimu when the country saw its future accomplished through the policies of Ujamaa, inspired by the East especially China, which failed to deliver the economic miracles to propel us out of humiliating poverty but delivered a country with principles and values; a country where the sense of accomplishment was more than economic gains. Mwalimu managed to instill in us a sense of nationhood; something which eluded his peers in other countries leading to bloodbaths in post-colonial Africa. President Ali Hassan Mwinyi lived in the shadow of Mwalimu throughout his decade in office and sought to achieve the economic success which had eluded his successor. Mwinyi opened up the country and sought to allow conversation about political pluralism and the nature of the Union. While political pluralism was achieved the conversation on the nature and future of the Union failed, as did economic success even though under his watch there was an economic boom in some sections of the society. WHEN Abdirashid Duale, the chief executive of Dahabshiil, Africa’s largest money-transfer business, visits Hargeisa, the capital of Somaliland, a breakaway province of Somalia, he cannot walk down the street easily. It is not that his security is under threat. It is that with every step, another businessman stops to greet him. Strolling from the new offices of Dahabshiil’s bank to the headquarters of its money-transfer operation, a distance of perhaps a couple of hundred metres, takes the best part of half an hour. On arrival, it becomes clear why. In Hargeisa, Dahabshiil, which means “gold smelter” in Somali, is the local economy’s nerve centre. In its money-transfer hub, huge amounts trade over the counter; at one point, your correspondent is handed $200,000 in cash to hold. Out of this bustling business, Mr Duale’s family have built an operation that operates throughout Somalia, and well beyond. Dahabshiil’s money-transfer business now stretches across 126 countries; as well as the one in Hargeisa, the firm has offices in Dubai, Djibouti and London. It transfers money from places such as Rwanda and South Sudan.In its new bank, every floor is air-conditioned—this in a state where electricity is generated by diesel and costs roughly ten times what it does in the West. Every street trader proudly displays his Dahab account number—the mobile-money arm of the firm’s telecoms network. At least half of Somaliland’s annual income flows through the firm, reckons Mr Duale. The company can also count on the support of powerful politicians, including David Cameron, Britain’s prime minister—who spoke up for the firm when Barclays closed its bank account in 2013. Its success in moving money has helped to rebuild shattered parts of Somalia. It is now trying to become something bigger: a bank. Dahabshiil was founded by Mr Duale’s father, who was a trader, importing goods into Somalia from Yemen. To acquire foreign currency, access to which was then strictly controlled by Somalia’s nationalised banking system, he turned to Somali migrant workers in the Gulf who needed to repatriate their earnings. Their money paid for imports in Yemen; in turn, out of his revenues from sales in Somalia, the senior Mr Duale was able to pay money to their relatives. In the late 1980s, when Siad Barre, Somalia’s military dictator, began bombing Hargeisa, the business, like the city, was all but destroyed. “We lost everything. We went back to a nomadic way of life,” says the junior Mr Duale. The family ended up in a refugee camp in Ethiopia. But adversity provided an opportunity. Stuck in camps, penniless refugees needed a way to get help from relatives abroad. And so business restarted. After 1991, when the fighting died down, Dahabshiil began expanding back into Somalia. The business was crude—transactions were communicated with high-frequency radio sets and the firm relied entirely on its staff’s knowledge to ensure money reached the right people. But it quickly expanded. Satellite links were added, then mobile phones took off. Now, it is possible for someone in London to send money to a relative in Somalia with just a name and a mobile-phone number. At one point this informality could have killed the business. After the September 11th attacks in New York, regulators in Western countries began to worry about how money-transfer systems were spiriting vast sums around the world anonymously—including to terrorists. Strict new rules about identifying senders and recipients were drawn up. Firms operating in Somalia, a lawless country, were particularly threatened. But instead of failing, Dahabshiil found a way to comply with the rules. Since most Somalis do not own passports (which are in any case far from secure as proofs of identity), Dahabshiil relies on the strength of the clan network. In a country where men can recite their ancestors’ names back fifteen generations, references are an effective way to prove that new customers are who they say they are. After that, their biometric information and fingerprints are stored in a Dahabshiil database, so that later transactions can be verified. Many financial transactions are filmed, in case records are needed later. This system has fended off bureaucrats determined to believe the worst about the firm and about Somalia, says Mr Duale. But it has not completely warded off controversy. Barclays closed Dahabshiil’s London account in 2013 largely because of worries about its reputation. The British bank did not want to risk being associated with car bombs and warfare in Somalia. After an outcry, and a court case, the two firms reached a settlement—but Barclays did not reopen the account. Mr Duale is now coy about how the firm banks in the West, refusing to reveal the identity of his partners. The Lagos Deep Offshore Logistics Base (LADOL) is a 100-hectare free zone and logistics hub for multinational industrial and offshore enterprises. It is located at the entrance to Lagos Harbour and accommodates a range of foreign and local companies such as Shell, Total, Samsung Heavy Industries, Dorman Long and Fortune Global. Construction on the base started in 2001 and development is still ongoing. 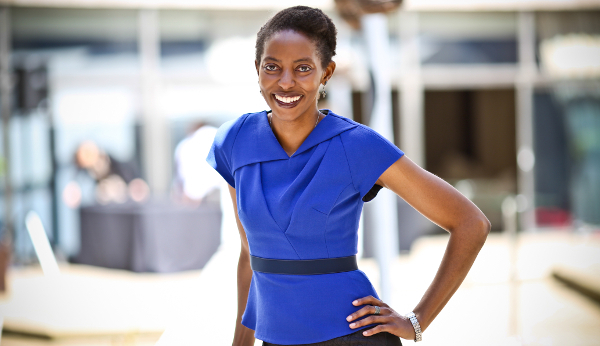 How we made it in Africa talks to Dr Amy Jadesimi, LADOL’s managing director, about setting up the hub in Nigeria and the potential for similar free zones in West Africa. Below is the edited extract of the interview. Tell us about LADOL and its development. The free zones in Nigeria are quite similar to those in Dubai 15 years ago. Dubai started its free zones with bare land and had different zones to focus on different sectors. Similarly LADOL has been built from scratch. It is a 100% private development, and we focus on high-value industrial projects, where the inputs or outputs – or the process – is expensive. These are generally projects that value at hundreds of millions of dollars and, because the projects are either so valuable or so difficult to do, they typically haven’t been done in Africa before. We focus on that end of the market because we know that if we can create an environment where those projects can be done in Nigeria, it will have a huge multiplier effect. An example of one such development is our shipyard. We built a US$300m shipyard, and that is the largest vessel integration yard in West Africa. Right now we are involved in a project where we are building a $3.8bn offshore oil and gas vessel, and that is going to enable, for the first time in Nigeria’s history, a vessel of this kind to be birthed onshore in Nigeria. This means that instead of the entire project being centred around an offshore location – either in America or more recently in South Korea – all of the work can now be done in Nigeria. In real terms this means that if you’re fabricating something that needs to go onto this vessel, before LADOL built this facility you would have had to put whatever it was you are fabricating – and these are massive structures, weighing like a 1,000 tonnes – on a ship and send it to South Korea to be made part of something else. And clearly the economics of that don’t make sense. So because it was so difficult and so expensive, people didn’t fabricate in Nigeria. It just wasn’t worth it. Now, because we have this facility at LADOL, we have created a space where you can do this fabrication in country and it is economically viable because you don’t have to ship the fabricated pieces to the other side of the world – everything stays in country. So the local demand for fabrication is going up four times and we are creating 50,000 jobs directly and indirectly because there is a 10x multiplier effect. By building this all-in-one industrial village, we are able to give people the sort of specialised infrastructure, equipment and trained personnel they need, all in one location. And we are able to do these massive projects in Nigeria instead of doing them outside of the country, which obviously has tremendous benefits for Nigeria. But clearly building this kind of infrastructure and setting up this kind of operation takes a long time… We’ve been building the facility now for almost 15 years. We have invested $500m and the investment is still continuing. Other than skilled labour and manufacturing facilities, what are some of the infrastructural and operational benefits of LADOL’s industrial village? The town has been built with infrastructure which is tailored towards heavy industrial activity. So the roads can carry a much heavier load, and the equipment, buildings, and everything is built with a very high level of structural integrity. We have very heavy cranes, which aren’t available elsewhere in the country. And because we focused exclusively on this high-value industrial end of the market, throughout the whole village the health and safety standards, as well as the security standards, are also very high. So if you’re a foreign company coming into this environment, you will literally be able to land and just focus on doing your business. You won’t have to make any further investment nor worry about safety and security considerations. On top of this, the village is also a free zone which means it comes with another set of benefits such as duty free importation, zero corporate taxes, and ease of bureaucracy. In a free zone, all of your visas, customs, tariffs, and so on, are all done in the same place. This all adds to its efficiency, coupled with the fact that we have specifically designed it to operate 24/7 and have all the government agencies in the free zone. This enables companies to have a very predictable manufacturing or fabrication schedule, which is important for these industrial projects. So someone sitting in Houston or London can predict how much they are going to spend, when they are going to spend it, and what the timelines are. Because of the environment we have created, when they do their planning for their project, they will find that they will be able to do their project in Nigeria as cheaply (or even more cheaply) than in South Korea or in other places in Europe. Reinforcing national unity and consolidating the democratic process. 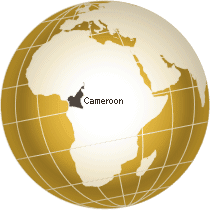 “Emerging Cameroon” will be a country embarked on a journey to sustainable economic and social development with a strong, diversified and competitive economy. The economy will be characterised by a dominant industrial sector in general and manufacturing sector in particular, with effective intergration into the global economy. Poverty will be minimal and income per head will be such that the country will be classified as a medium-income country. In order to become a newly industrialised country, growth must be sustained on a good number of products with proper intergration of the various branches of activity by way of value chains. It will specifically be a question of significantly increasing the share of products from the manufacturing industry in the GDP and exports. This vision consecrates a pride of place to FDIs as one of the significant components that can contribute to its realisation taking into cognizance its impact on host economies which include amongst other; job creation, the transfer of technology and human resource development. According to the latest statistic of WIR 2014, Cameroon attracted 0.01% of F.D.I. during this period, 80% of which was concentrated in the oil sector. It therefore becomes imperative that if Cameroon has to realise objectives stated in 2035 vision especially as to what concerns the attraction of FDI into the country, a more proactive strategy towards attracting FDI has to be engaged. Equally serious emphasis has been laid on improving the business climate which is a condition sine-qua-non for attracting FDI coupled with the improvement of business infrastructure and the promotion of industrial load and enough energy to potential investors. Furthermore, a more comprehensive and coordinated marketing and communication strategy has to be adopted to promote and sell the country’s economic potentials not only to foreign investors but equally to local investors in search of investment opportunities. It is within this backdrop that the Investment Promotion Agency in collaboration with the Ministry incharge of the Economy, the Ministry of Mines, Industry and Technological Development and UNIDO are organizing the first ever Investment Promotion Forum in Cameroon under the distinguish partronage of His Excellency, President Paul Biya, President of the Republic of Cameroon. The Grand Elysée Hotel in Hamburg, located close to the business district and the Alster, is the perfect location to meet with top business professionals operating in Africa. Please note: This is an open, non-sponsored, informal networking event. There will be no presentations and you will be responsible for your own entertainment, drinks. Attending the networking event is free but we will need you to register. You will find the participants list of our recent networking event in Amsterdam here.